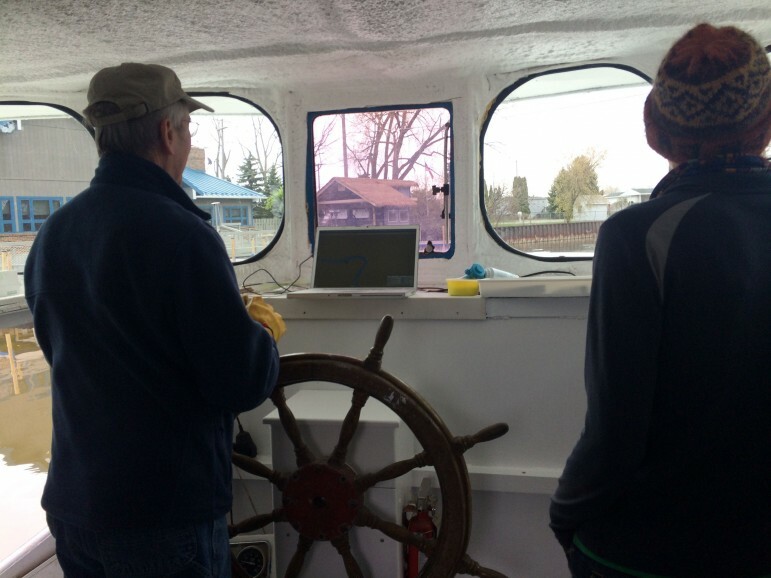 ABOARD THE NANCY K – As David Brooks readies the Nancy K to cast off for its latest Lake St. Clair adventure, he speculates about the source of what he hopes to catch. It is not fish that he pursues. It’s plastic. “The sweater I’m wearing is plastic and when it goes through the laundry some of the plastic goes down the drain, some of it makes it through the sewage streaming plant and some of it is floating down the Clinton River in front of us,” Brooks said. Brooks is furnishing a ride this summer for researchers sailing the Great Lakes in search of tiny bits of plastic. They’re testing how harmful they are to the environment. “We are starting to appreciate the fact that there is plastic debris floating around in the water and air but the big question that there is really no answer to is whether we should be worried,” said University of Michigan researcher Melissa Duhaime. She was awarded a grant in September from the college’s water center for $270,463 to do the research. Duhaime is recording where she finds plastic and analyzing it to create a model for policymakers to regulate it and clean it up. Some are already acting. Illinois approved legislation that would put a statewide ban on selling products with microbeads by 2018. California, Minnesota, New York and Ohio are also considering legislation that would ban stores from selling products with microbeads. 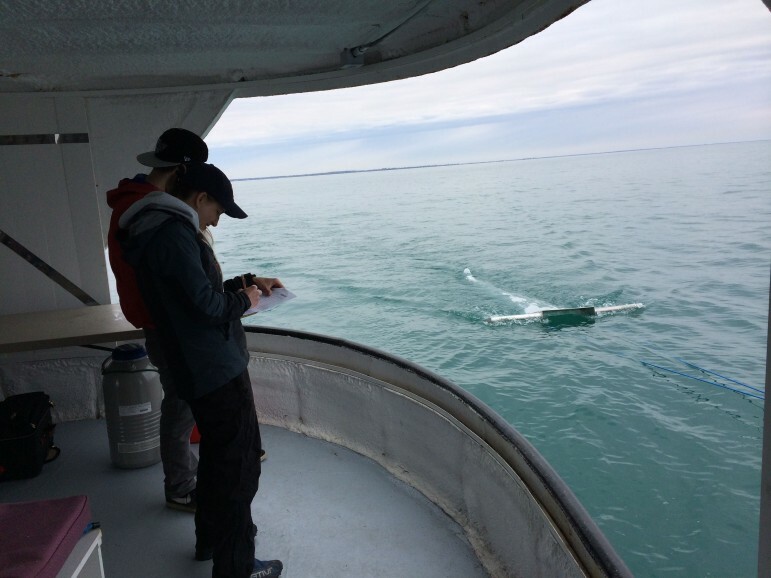 Duhaime’s team is focusing on Lake Erie and analyzing its findings in her lab at the University of Michigan. “Our approach is to focus deeply and intensely on one lake first and to transfer that knowledge to other lakes,” she said. Great Lakes gillnetters are fishing boats only found in the Great Lakes, Brooks said. They use vertical panels of nets that catch fish by entangling their gills in its mesh. Brooks is a retired engineer who has done Earthwatch projects for 25 years. Earthwatch is an organization where citizens pay to work for scientists doing field research. 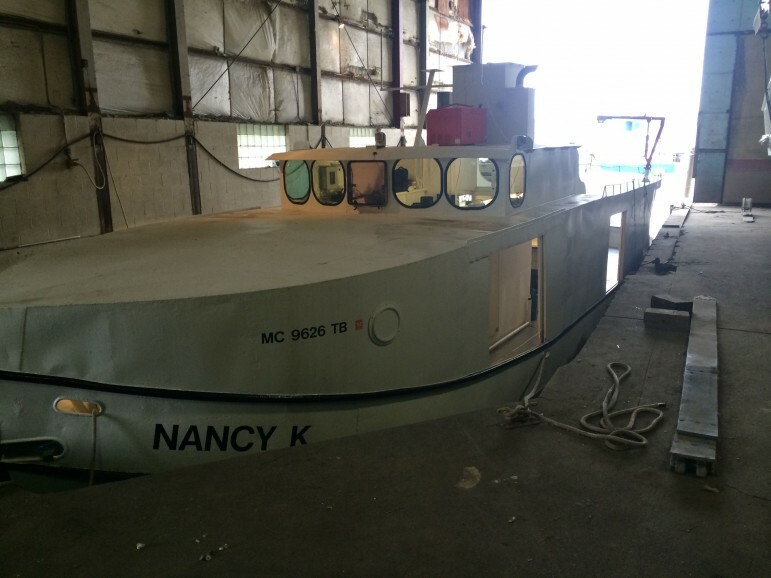 Brooks came up with the idea to use the Nancy K to help with the study to combine his love of boating and research. 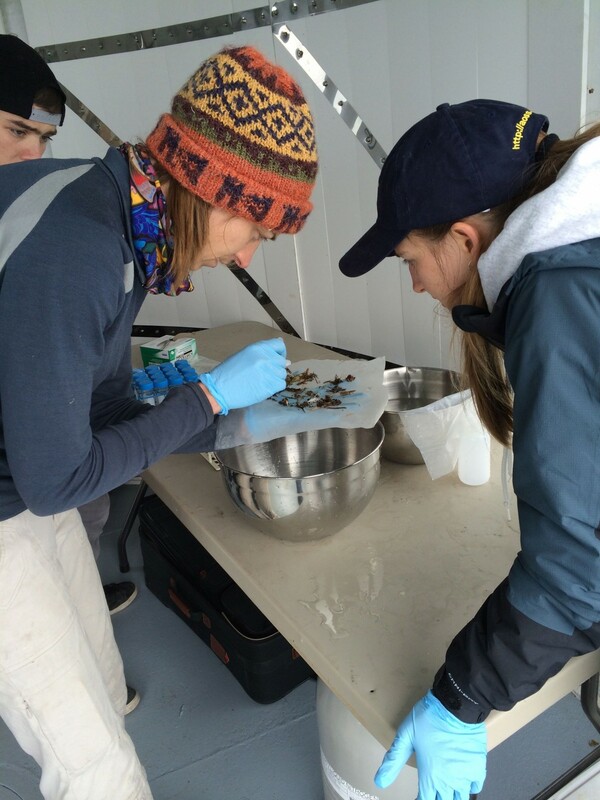 Duhaime’s team is collecting data on how often organisms are in contact with the plastic, which would determine how serious of a threat it is. Toxic substances sticking to the plastics are another danger. That exposes the contaminants to animals and fish in the water stream. 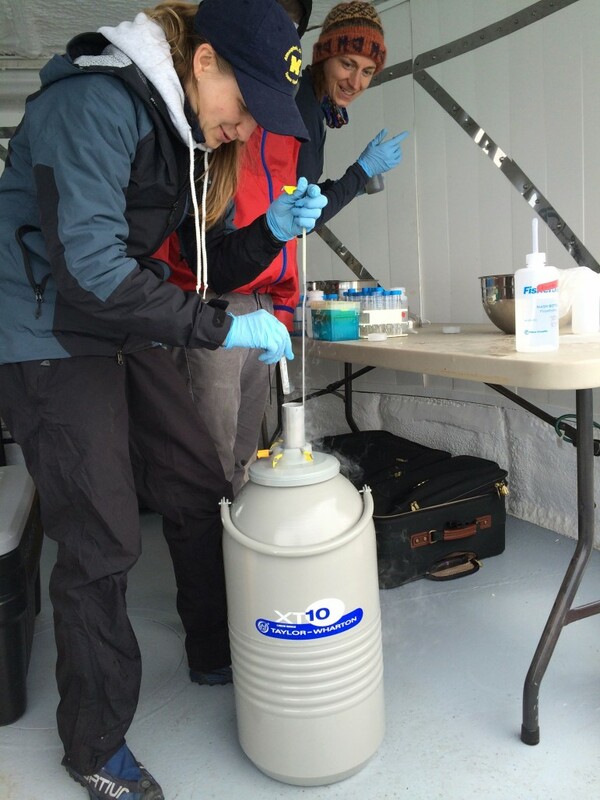 Duhaime samples with the assistance of University of Michigan graduate student Rachel Cable and undergraduate student Greg Boehm. They put a net in the water for 30 minutes at a time. Then they visually separate larger particles and take the smaller ones back to the lab to be chemically separated. 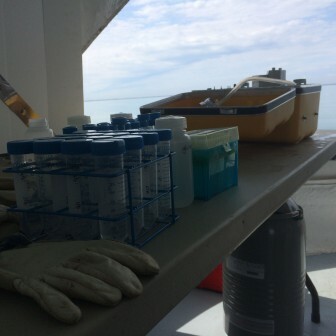 They use peroxide to kill and preserve organisms caught in the net so they can analyze what they have been eating and extract DNA to see whether they are an invasive species. So far she has collected a full fridge of samples to be tested in the lab later this month. She is already able to say with confidence that plastics are in the water. Garbage thrown into the water is one of the smallest contributors to plastic in the lakes, Duhaime said. Most is coming in massive loads from something else. How much is coming from which sources are among the mysteries she is trying to solve. The researchers classify plastic debris into anything larger than 5 millimeters and into microplastics, which are around .2 millimeters. Duhaime is mainly concerned with the microplastics, which get into the lakes primarily through wastewater treatment plants. Duhaime hopes that her research results will urge policymakers to push for better mechanisms to remove the microbeads in wastewater treatment plants. People who wash and wear clothes with plastic in them every day are also large contributors, she said. Anything stretchy, like fleece or polyester, is made out of some kind of plastic. For those looking to do their part in lessening the plastic in the Great Lakes, Duhaime urges to be aware of what products you are buying and what you are throwing away. There is an app for that. “We aren’t going to have an impact on policy and how companies make and sell products if we don’t change ourselves first,” Duhaime said.